For the first time in memory, live scientific research came to Capitol Hill in the form of the 2018 Life Science Fair and Reception held on July 18, 2018. The fair, organized by the Coalition for the Life Sciences, had exhibits from eight organizations, including the ASCB, and was attended by at least 150 people, including three members of Congress. 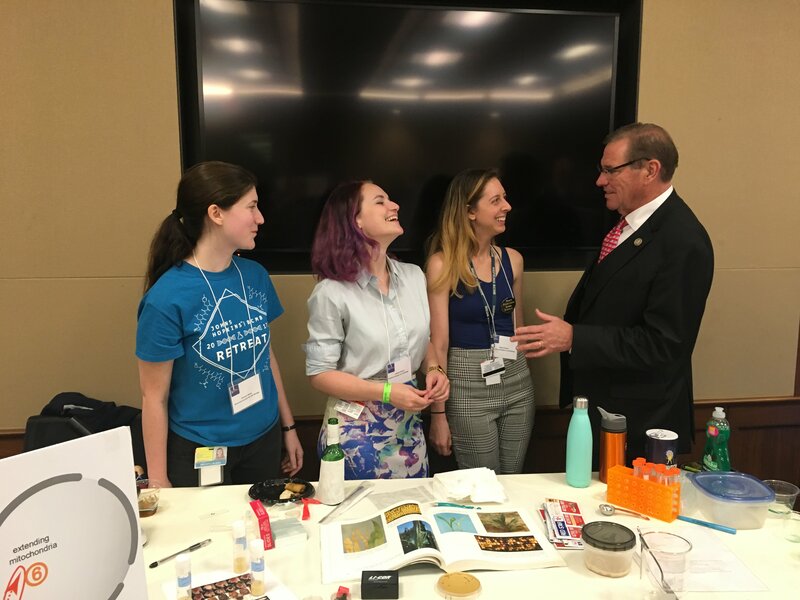 Brianna Barry., Isabelle Malouf, and ASCB member Molly Gordon talk with Congressman Neal Dunn at the 2018 Life Science Fair and Reception. The ASCB table was staffed by graduate students from Johns Hopkins University School of Medicine and focused on demonstrations and displays about various model organisms, including live Drosophila, budding yeast, and tardigrades. The students also demonstrated how to use household items to extract DNA from budding yeast. This demonstration proved to be very popular. Congressional staff and other attendees were amazed that it is possible to see DNA, calling friends over to make sure they could see the DNA too. 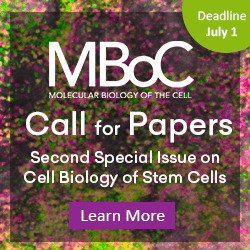 ASCB member Molly Gordon, from the Department of Cell Biology at Johns Hopkins, along with Brianna Barry and Isabelle Malouf, also from the Johns Hopkins University School of Medicine, represented the ASCB. Representatives Joe Barton (R-TX), Lou Correa (D-CA), and Neal Dunn (D-FL) attended the fair.